Texas is not an easy climate for a wool sheep. This year’s cooler and wetter weather are a relief for our Cheviot herd. 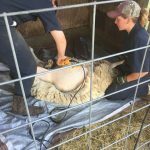 There is nothing easy about shearing a sheep. The equipment is expensive. The sheep are uncomfortable. The people are uncomfortable. Someday we will be able to invest in better equipment. 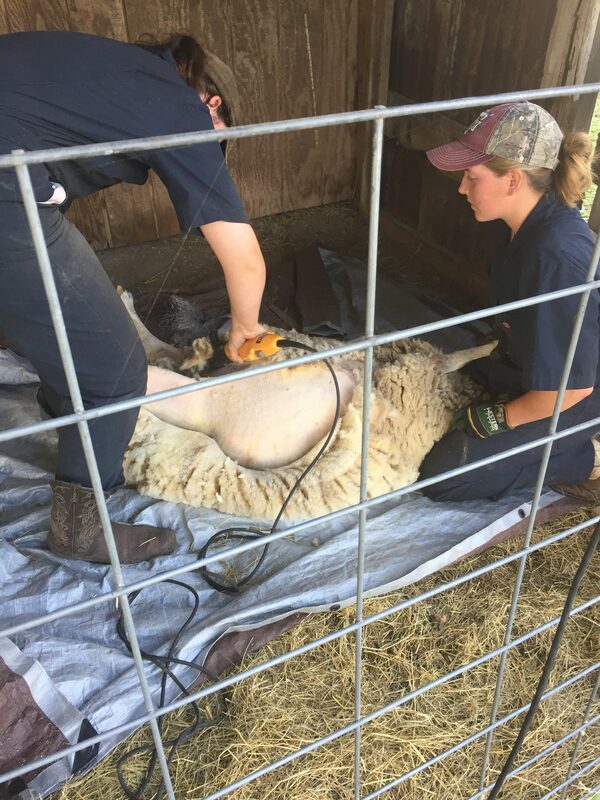 We do not put coats on our sheep and the wool is full of dried dirt, sweat, and dust. Burrs and grass are tangled in the locks. Wool has many uses and it was fun to learn how to felt and spin on a hand spindle last year. I am sad that the U.S. does not export as much wool but Cotton is king in our continent. It is still fun to play with and we will be selling the wool to spinners, felters, and crafters. Tiny Surprise Today: Welcome baby cheviot	What the heck is a tilt table? What the heck is a tilt table?